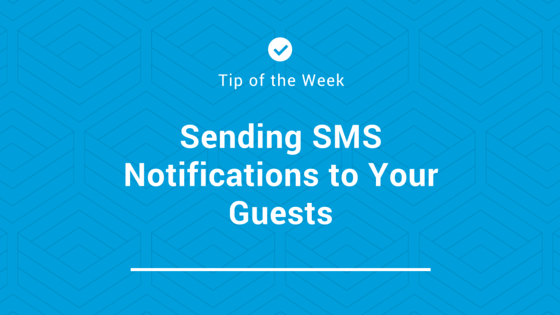 Did you know you can send SMS alerts to communicate with your guests? Contact your guests before they arrive at your property, during their stay or after departure! Use this tool for notifications, marketing, reminders, confirmations and enquiries. Enhance your communication and increase efficiency of business processes to ensure important notifications are delivered fast, securely and directly to your guests. Build relationships with your database, strengthen your loyalty program, drive traffic to your website to promote direct bookings, heighten engagement and communicate marketing offers and promotions. Messaging is an integral part of any life cycle communication and marketing strategy. Sending SMS reminders is an effective and inexpensive way to reduce your payment collection days, reduce no-shows and enhance other critical business process. Send instant confirmation of bookings, transactions or purchases, account details, and other important information directly to a customer’s mobile device to achieve greater customer satisfaction!